Expectations: One of my favorites. I watch it every few years. Here’s another review that I did for my buddy JP’s blog. I won two DVDs in his Oscar contest with the condition that I would review them for his site. Sounds like a fair trade to me! The first review went up a while ago for Buster Keaton’s The General and you can check that one out through the link a few words back. 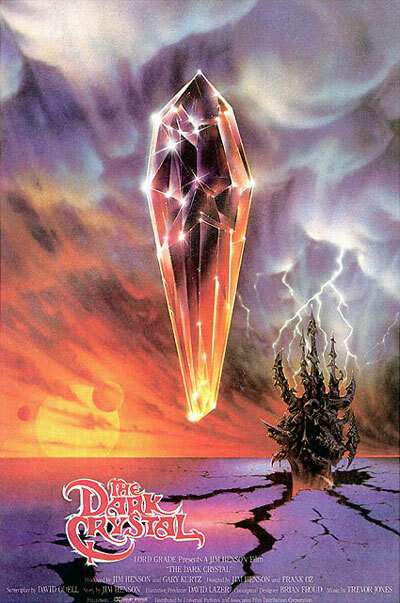 This week I fulfill my obligation with J.P. and with the review for Jim Henson’s masterful 1982 fantasy classic, The Dark Crystal. Check it out on J.P.’s website by clicking here!